make us free from all obstacles, remain with us in all actions. 2017 is here, a Number ONE Cycle, we are waking up! A new paradigm is awakening worldwide, challenging us to reckon with the disparity between our surface existence and depth nature. Although this may not initially be considered an earthshaking, groundbreaking aspect, it is going to take on stronger ramifications because the gap between surface and depth is exactly what is currently playing out on the screen of mass consciousness these days, as all of society is impacted by the endings and beginnings, shifts and twists. 2017 numerologically is a number one, SUN year. It is comprised of the number of the Moon (2), presiding over truth, everything connected to water and the ebb and tide of same within and without us. The zero (0) - or great Void of spiritual transformation, the number of the Sun (1), which is one, filled with new light and beginnings, and the number of Ketu (7), seven, the past haunting our NOW, coming good on collective karmic debris still weighing us down. All this adds up to a number one, the number of the Sun. The Sun in Vedic numerology is considered masculine, proud, strong, confidently dignified, harsh, malefic, extroverted, helpful and generous to friends and coldly indifferent, brutal to enemies. The Sun rules over pingala nadi, the right channel of the body and the left hemisphere of the brain. The Sun is the archetypal Father of our solar system around which all of the planets revolve. Everything depends on the Sun for their life force. The Sun is known for its potent regal power (hence considered a luminary), and its regularity. It is the dwelling place of the ancestors and is the first of the eight vasus, the realms of consciousness. The Sun, visible to our naked eye as luminous effulgent mass, is represented mythologically by a warrior king on his chariot driven by seven horses, which represent the seven rays of cosmic light as the chariot moves steadily on a solitary wheel traversing all the worlds. We surely have felt a lot of pressure necessary to urge us to dig into what we are made of and to keep confronting all the rising reactivity, as our world reality has been exposed to difficult situations. The Sun holds the higher key because he presides over our operating instructions - the cosmic blueprint or macro-view that we originally incarnated in order to explore our existence. Light is returning in this cycle, as deep down inside we are a species of tremendous love and greatness. Yet, over and over, through the millennia, we continued to act out our pettiness, fear and greed with subsequent control issues. It is ironic that we seem to not learn well or in a timely fashion to prevent the horror and violence we have been facing all thru the number nine MARS cycle. You would think we would be ready to shine, to love, to cooperate, to get co creative and be in support of one another and the Earth, our home, at large. It seems that although if we may be on the right track in our personal existence, that the greater society around us has taken a drastically wrong turn that does not sit well with our inner truth. The purpose of this experience is not to judge and condemn, but to call our attention to the precise measurement that reveals how closely the life we are currently living aligns with the life we were born to live. All around us we are confronted with agents of change, pointing to a new beginning, burning the stagnation so something fresh and wholesome can emerge but, as it would be with too much Sun getting a sun burn, so it is with this year’s process. Our civilization is at the tipping point, a transformation is beginning. We are reaching a time of deeper spiritual awakening and concern for the health of our planet. This transition will not be easy, warned the Seers of the past and our indigenous teachers, the native people of Gaia, worldwide. The birth pains are real. We are in labor with our higher Selves. These early years of process work, shifting gears as a collective in particular, will result in much resistance to this rising consciousness. But let us go forward with gratitude, perseverance, hope and love. Recognizing that everything and everyone is part of our journey. We are all interconnected. This is a foundational awareness that will foster compassion. Knowing that we can go toward the light of the eternal Sun together. We need to remember this, as the malefic manifestations of this new Sun cycle will activate an overall revolutionary spirit in all elements, Air, Earth, Fire, Water, and akash/Ether. We can anticipate dramatic changes in our awareness and ongoing confrontation with the elements, water issues, challenges to responsible stewardship of our vulnerable earth resources, climate change and disturbance to our eco system. Economical value adjustments by money markets being overthrown. Acts of violence and terrorism will be part of Sun’s malefic revolution. Yet on the other hand there will be a tremendous commitment to community, alternative methods of healing, sustainable agriculture, organic farming and gardening will flourish, innovative water and electricity conservation/purification will evolve, nature cure healing will go mainstream and yoga will be a household word and practice. Innovative Technology and Machine Learning will soar; considerable medical breakthroughs will have us stunned. Birth and death will be honored in unique new forms of ceremonial entries and exits, such as the green burial. Everything will be moving at lightning speed. People will be willing, from deep inside, to attain and maintain a more positive vibration and implement the necessary changes without further ado. The urgency is primal and clear to anyone waking up. 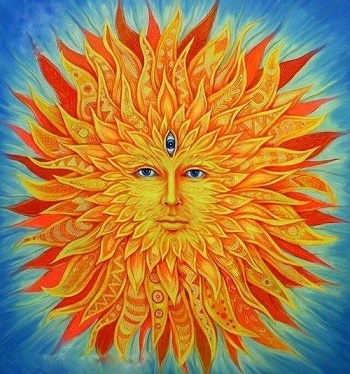 The Sun, this being a number one Sun cycle, burns all impurities and warms our hearts promoting genuine longing to live a more spiritually connected life. We can and shall be conduits for a solar dominance, let Light prevail and overcome the darkness still lingering. We have entered the Revolution. Now let us become spiritual leaders and combat all that is not life enhancing on every level, in every dimension. We will want to be en-souled and shine. We start in the here-and-now and we say: “We are back in this place again - the great Eternal Now”. What do we want to do next? Can we do it together? Can we become the non-egoic bio-solar telepathic Lunar Human? Let’s do that and have a communion of souls. Let’s follow the synchronic order. It has many different levels. It has numbers, symbols - and they come together and form new experiences in our personal and collective mind. Let's feel the ecstasy and a release of radion in our newly illumined brain cells. Let's feel our Gaia’s (new Earth) nervous system tickling. Nature is always providing us clues as to the cosmic energy around us, and where Mother Earth is directing her attention. By following the rhythms and cycles of Bhumi, Mother Earth, we too can bring harmony and equilibrium to our own state of being. SURYA NAMASKAR, the daily practise of Sun salutations, would be very invigorating and empowering in this year as it will articulate the refinement in our kundalini spines to keep them pliable and energized instead of rigid, stubborn and thereby stuck up in self-important posturing. Especially since most will enter this solar vibe looking at things in a practical and almost black and white manner. Perhaps this dark night of the soul the planet is moving thru, pre our luminous rebirth, is one that we have to approach using our masculine, logical side of the brain. We have to allow ourselves to see who we truly are without running, without hiding in our emotions and without judgment. Now that we seem submersed in the darkness, awakening to the depths of who we are, honouring that we all have parts that the Light is yet to touch. The darkness is about celebrating the seeds of potential, rays of light that live within us all. The seeds are buried within us, and only by acknowledging them, nourishing them and giving them time to grow in the darkness, will we be able to bring them into the light. This year we will all feel the frenzy of wanting to burst into more significance, make big plans and big changes and at the speed of light. We will be cognizant of both the light and darkness within us and wanting the Sun to win, although it may burn down everything in its path, while doing so before we conquer the rainbow of higher consciousness. It is interesting that we can be experiencing both of these energies on the same planet. But really, there is no separation to these energies as they are one in the same cycle. We are waking up to the Creation-Destruction continuity. 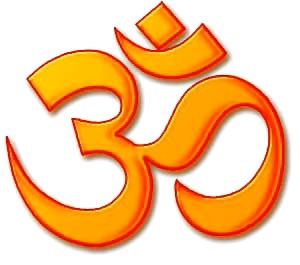 The Gayatri mantra is known in India as a maha mantra, the essence of all mantras. With regular chanting it will bring enlightened illumination, good mental and physical health, overall protection by enhancing one’s magnetic field, and the siddhis of wisdom, jyoti/light and discernment. the gross body, the subtle body, and the causal body. that Light of Wisdom which is the Supreme Wealth of the gods. May It Illumine our intellect unto the right path. 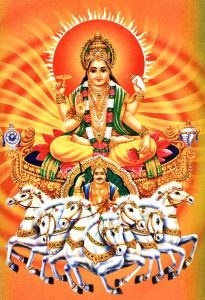 Per the Taithreya Upanishad, Savitra, the deity addressed in the Gayatri mantra, is the impeller, the driving force behind the cosmos through whose force the wind blows, through whose force the Sun moves, and through whose force Agni (fire) and Indra (rain and thunder) discharge their functions. The outer Sun that we see is only a mere physical vehicle of a mighty and all-knowing consciousness which pervades the solar system in layers of inexpressible glory. Man and the spiritual Sun hidden behind the physical Sun are One. This spiritual Sun of consciousness is the Savitra whose blessings are invoked in Gayatri mantra. This mantra dispels and drives away the ordinary negative tendencies in the human mind and appeal to the consciousness to illumine the heart. 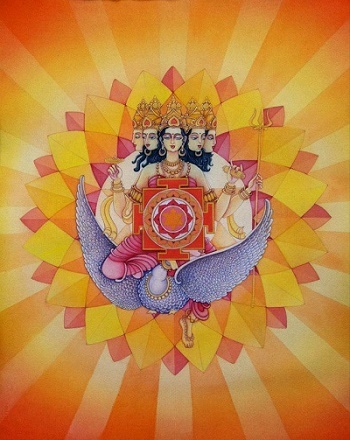 Gayatri’s Sun is the friend of the Universe, the source of the life force and the remover of all greed and delusion. Gayatri propitiates the nine planets, the stars, the elements of the Universe, and above all, the Creator of All. The regular chanting of the Gayatri lead not only to spiritual insights, but will also give happiness, health, prosperity and worldly auspiciousness. That everyone the Sun may see. O shining God, O Sun for seen. Surya Namaskara, or salutations to the sun, is an important yogic practice which dates back to the ancient Vedic period when the Sun was worshipped as a powerful symbol of spiritual consciousness. From its esoteric origins surya namaskara has developed into a practice of twelve postures which weave together to generate prana (subtle energy), aiming towards the purification and rejuvenation of the practitioner, states Swami Satyananda Saraswati. The yoga twelve postures or asanas, alternate backward and forward bending, stretching the spinal column and limbs through their maximum range. It gives a profound stretch to the whole body. 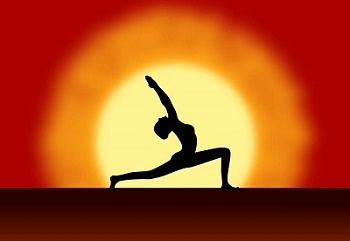 Regular practice of surya namaskara is one of the most rapid methods of obtaining a supple body. Every year the Sun passes through twelve different sectors of the sky, the Zodiac. These sectors are the signs or rashis of Vedic Astrology. Each rashi has a specific attribute or mood, and in each of these twelve moods the Sun is given a different name. These twelve names comprise the twelve Sun mantras, which are to be mentally repeated in their respective order in conjunction with the twelve movements of surya namaskara. Modern life has removed man from nature’s benign and rhythmic influence. The internal rhythms, the inherent clockwork-like nature of the nervous and endocrine systems, have become imbalanced through the effects of stress and tension, resulting in feelings of discomfort and lack of well-being. The yogic method of altering inner rhythms proceeds in a slow and systematic way. It does not attempt to radically change anything. Rather it seeks to slowly mold and modify the existing structures by becoming a new and health-giving extension of our day to day life. It works with nature, not against it. This is why the practice of yoga has to be performed regularly, preferably daily, even if for only a few minutes. Surya namaskara adds a new factor to our lives; an ordered, sequential, systematic, energizing, cleansing series of postures, breathing, mantras and chakras stimulation. It is like a health tonic taken every day before breakfast. Surya namaskara ability to modulate intracellular and metabolic energy is perhaps its most remarkable and powerful feature. However, it also interacts with the physical organs of the body directly, applying pressure, massaging, stretching and generally toning up and supporting internal tissue structures. It enhances our well-being. A planet going retrograde in motion, as seen from the Earth, represents an area of life that comes into magnified focus. The part of the sky where a planet retrogrades, can tell what themes will become prominent during the retrograde phase. In retrograde motion a planet will be re-visiting and re-evaluating, until finally it comes along to a stationary position for a few days and resumes normal forward movement, bringing to completion and integration the lessons and insights of that period. In Vedic astrology, the Sign and nakshatra where the retrograde takes place, as well any other conjunctions happening simultaneously during the retrograde phase of a given planet, provide clues to the themes that will be important during that period. In 2017, Mercury, Jupiter, Venus and Saturn will have retrograde periods. What can we expect from the RETROGRADE periods in 2017? Mercury, opportunities to reconsider ways of being more creative, confident, optimistic, clear in our communications, particularly about what we believe in and how we express that. Jupiter, a time of understanding how we have structured our life, and letting go of the need to control every situation. Develop a more practical knowledge in approaching life. Venus, a period of developing a clear view of who and what inspires us. Saturn, will show where we are most stuck. Where we cling to worn-out attitudes that we think empower us, when they actually prevent us from finding real meaning and satisfaction. Mercury will retrograde four times in 2017: January, April/May, August/September and December. Mercury will retrograde in Fire signs (Aries, Leo, Sagittarius). Mercury will retrograde most of the time in nakshatras ruled by Venus (Purva Ashada, Purva Phalguni) and Ketu (Ashwini, Magha, Mula). This brings about themes of relationships, social interactions, love, arts and music (Venus), and spirituality and mysticism, idealism and dissatisfaction, and drastic changes, originating in past karma (Ketu). Mercury retrograde is about re-considering everything past to current. Mercury, which represents our ability to discriminate, be rational, in regards to news and business, is in a period about re-evaluating belief systems, and the way these philosophies are communicated at large, as in the media. For the first part of the retrograde Mercury will be in the nakshatra of Purva Ashada, who is social status conscious, showy and glamorous, and tends to carry an air of superiority. This points to revisiting the past cycle of news, in the world and around the US elections, including all the maneuvers around leaks and “fake news”. We should expect no soul searching during the first part of the retrograde; as all sides – liberal and conservatives feel they are the ones that really “get it”. The second part of the retrograde, leading up to New Year’s and the first week of January, will see Mercury revealing a deeper view of the facts, as Mula is connected to “roots” and the Galactic Centre, literally the “root of everything”. A good opportunity to revisit 2016, and THEN make your New Year’s resolutions – aiming high! Ashwini is the first nakshatra in the Zodiac, and indicates new auspicious beginnings. This Mercury retrograde cycle will set the tone for the rest of the year. From the end of January until late March, 2017, it will have been somewhat tranquil, compared to the hectic events of the previous year. We will note impactful changes with this Mercury retrograde, culminating in a rare astrological event when Four Planets will be retrograde at the same time during the week of April 9-15. On April 14th, the Sun ingresses Aries joining Mercury – marking the turning of the wheel and beginning of a new cycle around the Zodiac. This will come not as much as a blank sheet, rather as a full-blown reassessment – everything will be on the table to be questioned. Personally, it is time for an honest view of what our priorities are. We need to be certain what it is we are putting our energies into, because our commitment to our vision will be tested during late Summer. Mercury starts its retrograde in the nakshatra of Purva Phalguni, related to enjoyment, rest and relaxation after fulfilling one’s worldly duties and responsibilities. Sounds appropriate for a late Summer celebration, the Total Solar Eclipse on August 21st. This event will capture the world’s attention, and is poised to fully enrapture the United States. The eclipse happens in Magha, where retrograde Mercury moves soon after, on August 23rd. The mood will change abruptly from celebratory to defiant – challenging the Leo King (i.e. the president and authority). The communal feeling leading up to the eclipse, might be channeled as a popular confrontation with the “lords of the realm”, i.e. the elites. Use this period to feel the Unity with all humankind, and open your compassionate heart when viewing the inequality existing in our world today. Mercury in Mula will prompt us to a deep reflection of what these two past years meant, for the individual and humankind. A cosmic reflection, drawing in the knowledge from the Galactic Centre, the section of the sky represented by Mula. Mercury during the second part of the retrograde crosses the gandanta boundary between Fire and Water elements, Sagittarius and Scorpio. Jyeshta is a mystical nakshatra, connected with wisdom, particularly the wisdom learned throughout the ages. We will graduate achieving a synthesis of the lessons learned, individually and collectively over the past two years. Jupiter retrogrades in Virgo, the sign of systematic analysis and details. 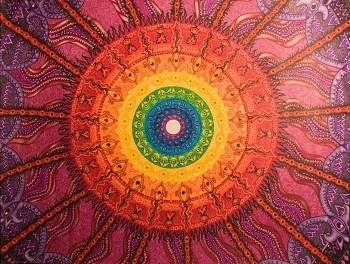 The first part of the retrograde happens in Chitra, a nakshatra connected to architecture, creating new cosmic design and magnificent structures. From the upsets of Brexit and the USA election, the first part of the retrograde in February-March will see the revisiting and re-imagining of governing systems (US government, European Union). This “re-assessment of everything” will come from Jupiter-Brihaspati, one of the two planets considered as divine teachers (the other being Venus-Shukra). Jupiter is a traditionalist, and can be seen as representing conservative views – especially religious or philosophical dogma. When Jupiter transits back into Hasta nakshatra, the nature of the “re-assessment” changes to practical knowledge, as Hasta is related to craftsmen, gardeners, and doing things with one’s own hands. This coincides with the Sun entering Aries, April 14th. The earthy spirit of Hasta will then be imprinted as the Sun starts a new cycle around the Zodiac. It will give the initial impetus in a collective-communal movement that will peak at the Total Solar Eclipse in late August. During its long stay in Pisces, Venus goes retrograde for 5 weeks. 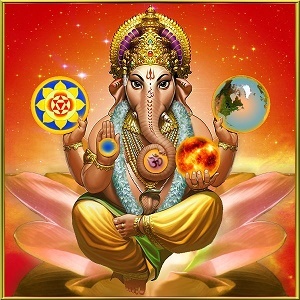 The retrograde starts in Revati, the last nakshatra in the Zodiac, connected with moksha and liberation. Revati connects us with paths of all-kinds, including our life-path. The start of the retrograde brings awareness of the choices we made, the paths we have taken – particularly around relationships – social and romantic, and how we have nurtured (or not) our creative nature. Venus next stays almost three weeks in Uttara Bhadrapada, a nakshatra connected to dream-like states, with the kundalini serpent power, wisdom and compassion arousing from a mystical understanding of reality. Venus is helping us gather deep information from the unseen realms – the Muse for inspiration, our dream landscapes. The final part of the retrograde happens in Purva Bhadrapada, with a more worldly oriented, even esoteric nature, bringing us to see through the hidden controllers and shapers of the cultural discourse. The retrograde peaks at its very end on April 14th, when the Sun enters Aries. Once Venus turns to a direct motion, we will be carrying the revelations learned through this deep journey of esoteric discovery, carrying the seeds of a collective-communal awareness, that will increase throughout the Summer, and peak late August, with the Total Solar Eclipse. During its return to Scorpio, Saturn will first retrace the first pada of Mula nakshatra, a position that falls in Aries navamsha, and has Saturn debilitated – not able to express its full potential. Saturn is about structures, governments and psychological, and these structures are still not solid. Ketu rules Mula, where spiritually, idealism, and certain dissatisfaction come into play, as we get to the “root” of the matter. What Mula reveals during the first part of the retrograde, will be pursued when Saturn returns to Scorpio, transiting the gandanta point between Sagittarius-Scorpio June 21st. Saturn in Scorpio will be in Jyeshta nakshatra. This could be a time of great reactionary drive by conservative forces, trying to reassert their command over terrain they thought had been conquered in 2014-2016. Saturn is oppressive, and we can expect the powers that be, particularly the tyrannical ones, to strive to stamp out the democratic and popular voices that rise up during the first half of 2017. The game though now is different – this is not about standard political process decided by votes – such as US elections and Brexit. This is about a collective awareness of humankind as a Unity, integrated with the Earth, and our joint responsibility. The result could be nothing short of Revolution, as the end of Saturn retrograde coincides with the Total Solar Eclipse in Leo on August 21st. On that day, the Moon, representing the people, eclipses the Sun, representing the king or government. Sign of a dramatic late Summer social movement. The two eclipse cycles in 2017 will be in February and August. Each cycle has a solar and lunar eclipse. The lunar-solar eclipse cycle in August will have the strongest effect, with a partial lunar eclipse starting the cycle August 7th, culminating with a total solar eclipse August 21st. The August total solar eclipse occurs in the Leo-Aquarius axis, completing the eclipse series with the Moon nodes in this axis, Rahu (Leo) and Ketu (Aquarius), over 18 months (since January 2016). Eclipses are times of powerful psychological transformation, where the planets representing the soul (Sun) and the mind (Moon), the two luminaries, have their light briefly obscured. The dimming of the light outside, invites us to exploring the source of light within. What can we expect from the ECLIPSE cycles in 2017? February eclipses, a cycle focused on seeing the hidden forces that influence our world and understanding our own psychological hidden motivations – the eclipse will provide access to the subconscious and we can reach great insights with spiritual practices during this period. August eclipses, a cycle focused on the external, particularly on the collective sense of Unity. A time to tune in to the stream of consciousness that will bring in the realization of our common human connection. This is the first eclipse happening in the new cycle under Cancer-Capricorn. Opposing the Moon in Cancer, is the Sun in Capricorn in the talented Danishta nakshatra, and Mercury in the peaceful Sravana. Ashlesha, where the eclipse takes place, represents the serpent power, both in its high expression as kundalini energy – wisdom, insight and intuition and sexuality, and the lower expression of cunning, deception and insincerity. Given the softer aspects around the Moon during this eclipse, we should expect the higher expression to come to the fore, supporting an increased awareness in humankind of the underlying control networks existing in our world. These heightened intuitive powers will give people the ability to explore the sub-conscious realms. Excellent for deepening spiritual practices. The New Moon will have both the Sun and Moon in Shatabisha nakshatra. The nature here is to try to gain access to what is hidden, and use it to attain power. Shatabisha is connected to the media, the forces “running the show”, putting a smokescreen in front of the masses. Much has been said about “fake news” and “conspiracy theories”. The masses might start to “connect the dots”, given their newfound intuitive powers received during the Ashlesha eclipse initiation February 10th. The Sun and Moon will be under the influence of Ketu and Neptune during the eclipse, in the social revolutionary sign of Aquarius. The tug of war between the media, its master puppeteers, and the people might not be decided just yet. However, the seeds for the awakening have been planted with this eclipse cycle. It will fructify during the August/September eclipses. This eclipse initiates a major turn of events for 2017. The nakshatra Sravana is connected with learning, universities, and the goddess Saraswati. It could indicate the beginning of a movement of rebellion starting at colleges and students, peaceful at first – as is the nature of Sravana. The setup of the “power” planets though is harder. Krura planets (Sun, Mars and Saturn) will be in cruel nakshatras. Sun and Mars will be in Ashlesha nakshatra, with Mars debilitated – what tends to bring out the more problematic expressions of Mars. Saturn will be in Jyestha nakshatra, the “stinger” final section of the Sign Scorpio. The nodes – Rahu and Ketu - will be sandi, just crossing over the axis from Leo-Aquarius to Cancer-Capricorn. This eclipse then moves the confrontation of forces from being the social movement (Aquarius), versus the political leadership (Leo), to a dispute between Cancer (Mother Earth, waters, nurturing food), versus the cold efficiency of Capricorn (bankers, bureaucracies, corporations). There will be much confusion, as Mercury is in close orb to Rahu in Leo. Venus will be transiting in Ardra, a nakshatra of rowdiness and tragedy, exactly over the USA natal Venus. The Venus force will activate artistic and liberal minds during the eclipse. The Moon, the people, will be peaceful – as per Sravana’s nature. The reactionaries, represented by the krura planets, will be scheming how to play their forceful hand. This will be a spectacular eclipse, where the Sun disk will be totally covered by the Moon, happening mid-day across the United States. Cities will go dark when the sunlight is blocked for several minutes. The hype over the summer months, in the buildup to the eclipse day August 21st, will be unheard of. Unique is that the eclipse will ONLY be visible in the continental United States, from Atlantic to Pacific coast. The bonds that it will create in all that are witnesses are hard to fathom. We have lived for almost two decades in a world where reality is viewed through an increasingly fragmented, ever more narrowing vision of reality. From cable channels to Internet sites to Facebook’s “echo chambers” to identity politics, we each have our own “special” corner. We lost any common ground, a shared vision of the future. This Eclipse lays bare our common human condition. We will be all together living it, experiencing it, breathing it in, sensing it, sharing it, and watching it. Will we all, in a moment of beauty, hold hands? The power of the Eclipse will touch minds, hearts and spirits in ways never seen before. Venus (Punarvasu) and Mercury (Purva Phalguni) will empower social relations and mingling – creating a festive atmosphere. The krura planets Mars and Saturn, will be slogging through difficult nakshatras, both close to the end of Water signs, plotting schemes. One person certainly to be negatively affected by the eclipse is Donald Trump, elected 45th President of the United States. Mr. Trump is a Leo Ascendant, and this eclipse takes place in close orb to his Ascendant and natal Mars. The eclipse will affect Mr. Trump, the country he governs, and its people. It might finally bring the people together, after the divisive electoral campaign of 2016. Not as Democrats and Republicans, but as human beings, sharing a common planet, illuminated by the Sun, nurtured by the Moon. Post Eclipse, extremely powerful forces will be put in motion. There might me a confrontation with the masters of the old order. However, the Eclipse experience, the sense of Unity, will be with every single person that lived through it. The old tactics of control and manipulation, media and institutional, will no longer work and apply. Venus will be in Pisces, its Sign of exaltation, during four months – starting late January to the end of May. This period will be favorable for relationships, social interactions, art and music, and having a good time. Pisces is sensitive, imaginative and mystical. Venus in Pisces is about being happy, even for no reason, real contentment. The lessons Venus will teach us will come in stages. It starts with the Venus ingress in Pisces January 27th. This is immediately after Saturn has finally left the sign Scorpio – where he brought about very alienating, hard situations since late 2014. Collectively, we will all feel like a burden has been lifted. Relieved from the “burdens of the world” – even if only psychologically, we will feel drawn to take a look at our own life, our relationships, our love life, our sense of pleasure and playfulness, our desire for beauty and enjoyment. What makes us tick? Venus will be energized during this initial period, as Mars is also occupying Pisces for the first 5 weeks. It will be about getting close and personal. Venus will slow down pre-retrograde, and even though chasing Mars till the very end of Pisces, Mars will escape to his own Sign of Aries by early March, without having had its encounter with Venus. Venus then turns retrograde, March 4th to April 15th. Venus will offer us a journey of discovery, and much light will be available. During Venus’s whole stay in Pisces, Jupiter (ruler of Pisces), will be casting its benefic aspect from Virgo. Jupiter-Guru’s light, will allow us to make wonderful discoveries about ourselves, what really is important for us, what make us feel alive. This will be supported by the nakshatras that Venus will transit through while retrograde: Revati (moksha, liberation), Uttara Bhadrapada (dream-states and esoteric knowledge) and Purva Bhadrapada (worldly oriented). We will be able to use this time to see through, beneath and beyond the veils of maya. During its retrograde phase, Venus has visits of Mercury and Sun transiting Pisces – allowing us a closer look to how communication and personal power affect our relationships, and on a collectively level to use the newfound Venus-Jupiter insights to uncover the plays of the media (Mercury) and leaders (Sun). Venus retrograde ends on April 15th, soon after the Sun ingress in Aries, joining Mercury. This will produce a very creative phase, of innovation, wonderfully artistic, where Venus will help us share our revelations. It will be a rewarding process for those that stay open to the juiciness that is characteristic of Venus. It will wash away much of the psychological ballast, individually and collectively, accrued during the 2016 hard transits. When Venus finally moves away from Pisces and enters Aries, on May 31st, a new cycle will begin. A celebratory and energetic Summer lies ahead. An unusual cosmic alignment happens during the week of April 9-15: four planets will be retrograde in the heavens at the same time: Mercury (Aries), Venus (Pisces), Jupiter (Virgo), and Saturn (Sagittarius). Retrogrades are periods when planets are closer in orbit to Earth, thus they appear brighter in the sky. Their influence on human affairs become more intense and focused. As they are moving backwards (from the perspective of Earth), their normal significations get thrown out of alignment. This makes us having to work harder to use the planet’s energy properly, and this effort is better applied to re-visit, re-assess and re-evaluate what the planet represents for us. For Mercury, it is a time to double-check and edit whatever work we have recently started writing, taking a critical look at our new thoughts and ideas. For Venus, it is time to work on our existing relationship and social circles – bringing a deeper sense of intuition to them, or going back to an unfinished project if you are an artist – you might get the inspiration, and checking if what give us pleasure is really good for us – or is it simply indulgence? For Jupiter is it is time to reassess what principles we use to guide our life, who are the teachers we are following, if our beliefs and practices stand up to the facts, or is it just delusion with another name? Saturn will bring a reality check: is what we are aiming to build, worth the time and effort? Overall, it will feel as if we have come to a point where we are questioning pretty much everything we are doing. We have to. We cannot move forward yet as the planets in retrograde motion will not allow us to. The positive of this situation, is that when we finally get going again, starting June and into high Summer, we will have a clarity of purpose that has evaded us for the past few years. Jupiter is considered the great benefic of the cosmic pantheon. He is the planet of prosperity, optimism, opportunity, good fortune, generosity and wisdom. In the Vedic tradition, Jupiter is the teacher of the devas (celestials). He is guru, remover of darkness or ignorance. Jupiter will be in Libra for 13 months. The first part of this transit, from September/2017 to January/2018 will be a bit chaotic. From February/2018 onwards, it will be an easier time. Look for the area of your natal chart represented by the house that Libra occupies. That area of your life will flourish for the year starting in September 2017. Jupiter enters Libra September 11th, at the end of a Summer that promises to be memorable. Libra is a sign of harmony, fairness, high-minded social idealism, the arts and diplomacy. This should bring a desire to achieve a better social structure through compromise, adjusting our beliefs, seeing others point of view, achieving a fair resolution. These qualities will be much needed during the first weeks of Jupiter in Libra – as two krura (malefic) planets, Mars and Saturn, will be very active in the heavens. We might witness a major confrontation between the people, and the tyrannical powers of the elites and governments, that will not shy away from using violent or manipulative methods. Jupiter’s light and wisdom, in Libra, might be the saving grace that will guide it all to a positive, evolutionary revolution. As without, so within. The macro-forces operating on a world level, are also operating inside us, on a psychological level. Thus, it is important for us to be attentive to where the Ego – our little tyrant – will try to cling to its games of control and power. Most likely, we will be able to see through the game of mirrors, as the transits during the first half of the year – particularly Venus – and Jupiter now in Libra, will empower us to make positive changes in our lives. The situation calms down for a few months, until Mars enters Libra in December. This Jupiter-Mars conjunction offers indications that an honorable compromise will be achieved – as Mars and Jupiter are friends in the Vedic pantheon. From mid-January 2018, Jupiter will be alone in Libra, being able to produce stability. The world, and each one of us, might finally regain a sense of equilibrium, and be able to move forward with the wisdom garnered during the events of 2016-2017. The lunar nodes are astronomical points in the sky that keep moving over time. These are points where the orbit of the Moon intersects the plane of the Sun (as viewed from the Earth). When this intersection happens, the three bodies are aligned, Sun, Moon and Earth. If the Moon happens to be in front of the Sun viewed from the Earth, the North Node, there is a solar eclipse, i.e. it appears that the disc of the Sun is covered for the duration of the Eclipse. If the Moon happens to be behind the Earth during the alignment, the South Node, there is a lunar eclipse, always on the Full Moon. In the lunar eclipse, it appears that the full Moon disc is covered for the duration of the Eclipse. In Vedic Astrology, these lunar nodes are named Rahu (North Node) and Ketu (South Node). They have an energetic status equal to the other planets of the solar system, and are considered chaya (shadowy) grahas. They are both related to the karmic stream that propels us from lifetime to lifetime. Rahu represents the new karma or actions we want to take. Ketu represents our past life karma. The way it manifests in one’s astrological chart, Rahu indicates areas of life where there is a strong, primal interest in this current incarnation. Sometimes to the point of obsession. Rahu goes about pursuing these areas with much gusto, but usually with a certain inexperience and ruthlessness, as these are areas of life were not fully explored before. By a combination of greed, short-sightedness and a certain naiveté, Rahu tends to get us into trouble. Ketu on the other hand, is related to the experiences we had in past lives, to the point where we have had enough of them. This leads Ketu to create a certain distance in the areas of life it affects, either through outright rejection of those areas, or trying to spiritualize those subjects. The nodes entering new signs in September, mark a change of emphasis in the collective mind stream. When Rahu enters Cancer, early in September, it will produce a shift of attention towards themes of waters, Mother (Earth), feelings. It will show us an inward weakness that the outward expressions of confidence would not reveal. Maybe the Rahu in Leo was only for show – “all hat and no cattle”? The focus of the world’s attention will shift to Cancer themes – of nurturing, conservation, even a certain wistfulness from the realization that our environment and our planet need immediate attention. On the other end of the nodal axis, Ketu brings its idealism, unsuccessful ways and disappointment to the areas of life of Capricorn: being practical, managerial, traditional, work-minded. This is the time when the bankers, the faceless corporations, and all those relying on them for a sense of security, will have their turn being bewildered, trying their hardest and still failing. This will be a new game. This will be a Cancer revolution, a heart revolution, a soul revolution. This new stream of consciousness is something that isn’t as readily combated with the traditional tools of political maneuvers and media disinformation. Brings to mind the image of Standing Rock versus oil companies and government bureaucrats, alternative movements versus Wall Street, sustainable eco-friendly farming versus the agri-business giant chemical conglomerates. The same dynamic will be true of our inner life. We will not be as interested in only an external security (Capricorn) that cannot give attention to fulfilling the deep feelings and longings of Cancer. We are doomed to fail if we ignore our inner life during this transit. Time to learn how to replace feelings of emptiness with inner happiness, connection with the Earth, and a sense of care for all Life – i.e. mothering ourselves, others, Nature. This transit brings the potential for great breakthroughs, personal and societal. Watch in your natal chart the houses (bhavas) that are in Cancer and Capricorn. These will be the areas of your life that will be churned by the new nodal configuration. Saturn re-enters Scorpio on June 20th, in a retrograde motion. The retrograde phase goes until August 28th, a week after the Total Solar Eclipse in August 21st. To recap, the initial stay of Saturn in Scorpio produced plenty of power-hungry, negative and secretive behaviors during 2014-2016. We saw the rise in the world of proxy wars, terrorism, intolerance and fanaticism. This transit will see the bad actors, that provoked and benefited from these events, trying one more time the strategies that worked so well for them in the past. They are surely to be disappointed, because this time, there will be much more light around, and the global consciousness will be shifting. Starting the first half of the year, when the Four Retrogrades in mid-April give everyone an opportunity to reassess, retune, recharge. Having spent the Summer with the buildup to the Total Solar Eclipse, the people will be aware of the momentum of collective consciousness. When the powers that be launch their power grab, as Saturn turns direct in Scorpio August 28th, their opposition will not be the easily manipulated masses of 2016. This time, in quick succession, the cosmic balance changes with Jupiter in Libra and Rahu/Ketu in Cancer/Capricorn. The people might start a Revolution, but this will be a much wiser, and bound to be successful, Revolution. The power structure will not have time to put up much of a fight, as after a few short weeks, on October 27th, Saturn leaves Scorpio for good for the next 30 years. On a personal level, this will be a time to take sides. Are we going to align with Ego – the little tyrant – and its games of control? Or are we going to align with the new possibilities of Jupiter/Libra and Rahu/Cancer, and an en-souled, balanced, emotionally fulfilled life? day of the week your birthday falls on (check below). Add all of this together and the number that results from this addition becomes the number of the projected year. -double check your additions- or maybe use our convenient online vedic year calculator. NOTE: As this summary is very general it can only provide an overall idea of what is to come. For more precise possibilities one should consider having ones personalized chart done and consult a competent numerologist or astrologer, experienced and gifted in such matters. Important year of significant changes. Difficulties and problems that have existed for many years will vanish. One develops a new outlook. One hones down to the essentials and shines bright like a sun. One will feel lucky, special and receives help from people, especially people in authority and the government. One feels more healthy, robust and progressive about all ones involvements. There will be easier success in business if one gets focused, organized and plans ahead as it is a cycle of new beginnings, so sowing seeds. One will meet interesting people that provide impetus for new directions. One will be less fearful, anxious or insecure. One will work hard however experience less stress. One will achieve name and fame, especially in competitions. This is also an excellent cycle for buying something new, starting a new venture or investment scheme. For artists/musicians this will be a superb year to make a significant societal contribution and or composition. This cycle will bring an increase in personal happiness, richer magnetism, and feeling attractive to others. As well as new friends, who will be helpful in the future. Overall there will be less worry and stress, yet deeper emotionality superseded by more practicality. One will experience benefit from real estate and find a new house/home/apartment and an overall improved living situation through patience and good planning. One will experience profound changes in the way one thinks and perceives. The most important factor will be to observe the necessity of worrying and hurrying less and thereby becoming more conscious of each moment. This will bring more knowledge and practical everyday wisdom. It will be a time to complete old projects and get ready for a major shift and life transformation during the year. One will meet new acquaintances that will become friends. Overall an auspicious year as it brings financial gain, name and honor in society if one efforts to express oneself clearly. This is a meaningful cycle for writers and orators. These people should be careful as the influence of Jupiter can make them exaggerate the truth and make them frank and fearless that could get them into trouble. It is a very good cycle for planning the next venue and or getting a job promotion. Not good for lawsuits however and also a time to tests ones new friends before trusting them completely. This year will bring success with difficulties. There will be strength, undisturbed by unforeseen troubles and obstacles. There is alertness, hard work, and calm. There are also financial gains, increased sources of income, and financial stability. You will experience new ventures, such as a new house or apartment. This year will also be auspicious, for one may get married, but if one does not want to marry officially, one gets a life partner. Married people with no children get a child. This year is good for relationships with friends and life partners. It is not successful for love affairs and romance. It will be good for relations with government officials and men of authority. This year will be good for traveling, spiritual pursuits and religious activities. This year will be a year of success and financial stability. It brings an increase in one's circle of friends. It is also good for business and businessmen. It will be good for traveling and for going abroad on business or for enjoyment. It will be good for partnership in business. It is a time to be conscious while talking, and also to be conscious while signing a deal or a contract. It is good for those employed in the media and communications business: writers, poets, actors, entertainers, radio artists, and journalists. It will be good for appearing in competitions and taking risks. It will be a memorable year. Year number 6 is good for family relationships, free from the problems of household affairs. It is also good for romance and conceiving a child. It is good for interior decorators, actors, musicians, poets, and painters as well as for filmmakers, theatre people, and those involved in show business. Good for jewelers and people involved in the perfume business. It will be good for spending on decoration, entertainment, and enjoyment. It is a time to get employment, for those who are unemployed. It is a time to deal with items of beauty, sensual enjoyment, worldly pleasure, and gifts. This year also brings the chance of getting unexpected wealth and a raise in salary. This year will hold misunderstandings and difficulties. There will be difficulties in business: more work, less profit. Success in such things as court cases and law suits. It will also be a year to test friends and helpers and to avoid unnecessary discussion. Devote energy to the healing arts, astrology, practice of Tantra, magic, and hypnosis. Take fewer risks and be conscious in love affairs and romance; there are chances of getting a bad name. Remain optimistic and undisturbed if one desires success in jobs undertaken. A patient and optimistic attitude will solve problems and remove obstacles. The difficulties are only a test. This will also be a good year for healers, astrologers, and those involved in occult sciences. This year will be good for politicians, social workers, and people involved in the iron and steel industry. It brings the opportunity tot start a new venture. it will poor in the area of health. Precautions are needed; for example, avoid stress, excitement, and anxiety. Use more juices and spices, which clean the blood and strengthen the heart. Use pearl powder (mukta pishti) and powdered blue sapphire (neelam pishti). 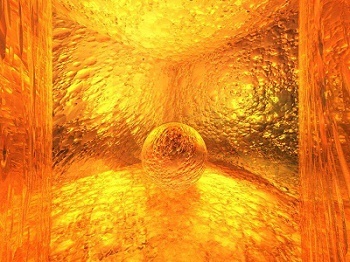 It is a time to gain success in worldly matters; one should use one' energy to become more creative. The right use of energy will bring good luck. It is good for gaining victory over enemies, and in lawsuits. It is a time to become independent, to rely on one's own resources and judgment. It is good for social work. This year will be a year of completion, success, and good fortune. It is a time for fulfillment of desires, for organizing oneself and a year of gaining favors from men of authority and government officials. It will also bring slight disagreements - a harmful exchange of harsh words with an officer is possible. There will be success in combat and competitions and honor by society. There is a chance of unexpected financial gains, through a lottery, inheritance, or other source. During this year, one should also avoid doubting and perfectionism. By devoting more energy to spiritual pursuits, the year will bring good results.